2020 Peru Pilgrimage | Welcome! 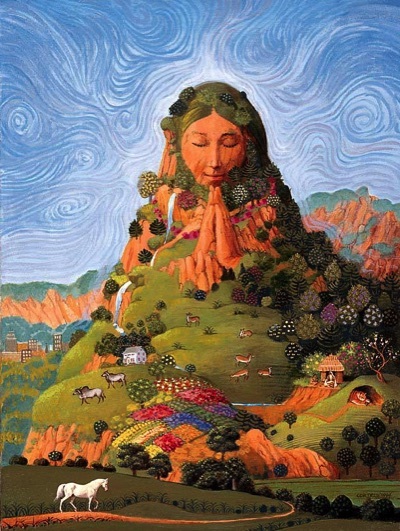 Awakening the soul to the Divine Feminine is to realize the balance of the feminine and masculine wisdom in our lives through experiential education, healing, and energy practices. The Divine Feminine (Eros) in sublime harmony with the Divine Masculine (Logos) offers us a joyful means to awaken the power inherent in our nature. As this dynamic balance emerges, we feel more connected to the cycles of the Earth, to our true emotions, and to the power and sacredness of our being. When we awaken the soul, we experience greater aliveness, natural pleasure, and a deeper dimension of love in our relationships. We access a refined quality of energy so real and tangible that every part of our life is enriched. 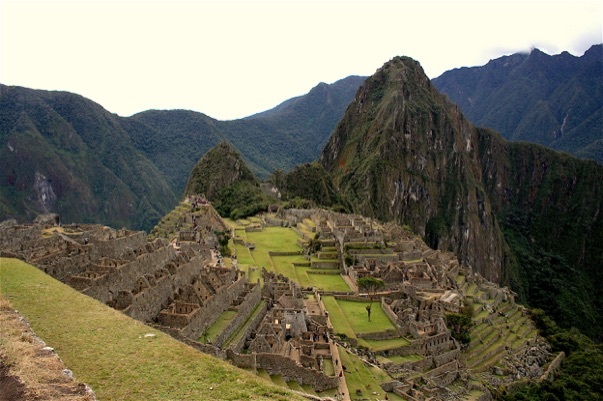 Join us for a transformational journey to Charo's enchanted Perú, the planetary heart center. DISCOVER the sacred sites, HEAL your body, mind and Spirit as each site vibrates in different musical notes. AWAKEN your Spirit within the frequencies of the femenine energy in the Sacred Valley of the Incas. EXPLORE Ollantaytambo, the Lemurian Heart Center, where precise celestial alignments are exhibited. OPEN YOUR HEART to higher frequencies of Love with yoga and meditation at the Dimensional Circles of Moray. ASCEND Pisac, where a Sun Temple cradles a meteor from Maldek. ANCHOR PEACE in your heart at Machu Picchu. RENEW your body with a hot springs bath at Aguas Calientes. 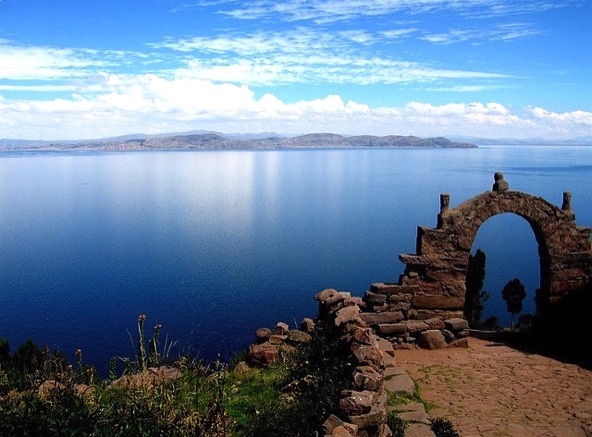 EXPAND and BALANCE your Sacred Heart at Lake Titicaca. VISIT with the Uros indigenoues people who pre-date the incan civilization. RESTORE at Taquille Island, an Oral and Intangible Heritage of Humanity. EXPERIENCE the energies at the Inter- dimensional portal of Amaru Muru's Doorway and the mysterious rock formations in Hayumarca, "The City of the Gods." * Known as Charo (her nickname) throughout her life by family, friends and students. In 2014 she was instructed by Beloved Divine Mother to use her God given name, María del Rosario, for the next phase of her life. Machu Picchu Is situated in the core of a unique double vortex. This sacred energy is of massive potency. It is primarely feminine. Goddess in nature. It initiates all seekers with the light encoded energy emitted in perpendicular golden rays from the Sacred Earth inside the inner ring. All who receive it provide more balance to the planet, by achieving a greater balance within. The stunning beautiful site of this holy lake is simply breathtaking. Lake Titicaca is not only the highest navigable lake on the planet and the second largest lake in South America, but it is also the largest vortex portal in South America and performs a unique role. It not only carries a feminine energy but also the masculine. This perfect balance is what attracts so many to this healing site. This holy lake receives and blends enormous inflow of the feminine energy so necessary for our planet to achieve balance, but it is the female/male balance that Gaia ultimately seeks to project. Lake Titicaca carries tremendous clearing potential for all seekers on the path, and offers balance to any human that is out of balance. It is one of the most sacred places in the planet.